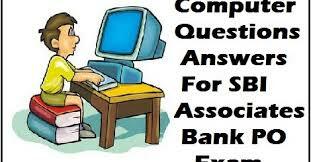 Computer Awareness GK Questions Answers for just like RAS, IAS, UPSC, RPSC, 1st, 2nd, 3rd Grade Teacher, REET CTET, LDC, SSC CGL Related Study Material Date wise 01-08-2017 And General Knowledge for All competitive exams| gk questions and answers And gk questions bank,Rajasthan Police Delhi Police Related Study material and GK or RAS, IAS, UPSC, RPSC, 1st, 2nd, 3rd Grade Teacher, REET CTET, LDC, SSC CGL, IBPS, MBA, CAT, MAT, SBI-PO, RBI,Railway And General Knowledge Questions and answers set for any competitive exam.And Indian Geography The flowers are composed of various aromas which are Puzzels asked in most of the interview questions. Question. (1) Where is all buttons open, print and save? Question. (2) Which point in the spreadsheet is called the column and row intersect? Question. (3) What is the default file extension of Word document? Question. (4) What is there a taskbar position? Question. (5) The blinking symbol on the computer screen called? Question. (6) What is junk email? Question. (7) What is a URL? Question. (8) Which utility is used for transferring files and exchanging messages? Question. (9) Which education institution normally uses in its domain name?